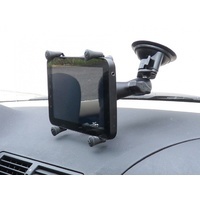 It's the most secure suction mount assembly for any 7" tablet with or without a case or sleeve. 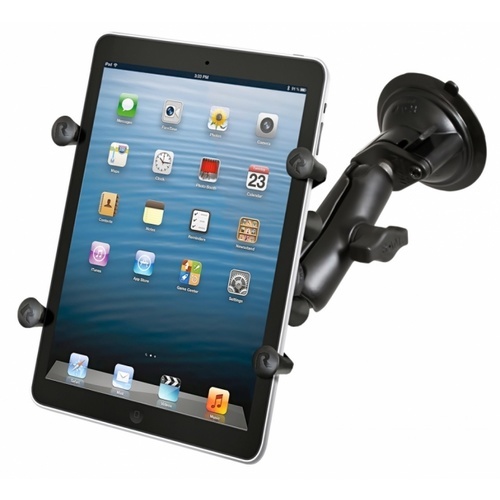 A strong and versatile mounting solution for the new iPad Mini, Samsung Galaxy Tab 7, Nexus 7, Kindle Fire or any similar sized tablet. This item uses the RAM X-Grip universal 7" cradle combined with the single suction mount and aluminium double-ball arm, forming an amazingly stable platform for tablet use in your car, home or office. It's simple to open & close and the spring loaded X-Grip leaves the outside edge of your tablet almost completely free of annoying obstructions. 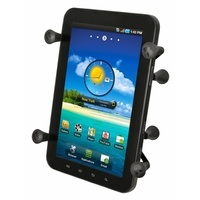 Soft rubber fingers apply just enough force to keep your tablet safe and secure. 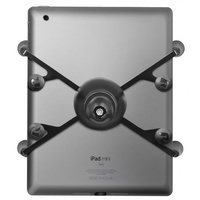 And the easy access grip knobs on the back of the holder enable quick release of your tablet. 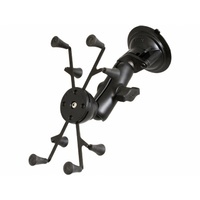 The spring loaded X-Grip cradle expands and contracts, allowing a custom fit of any 7" tablet. 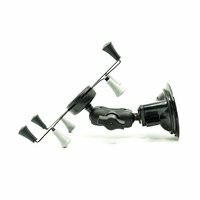 The patented rubber-coated aluminium ball joints are designed to efficiently dampen shock and vibration, and allow your tablet to be positioned in portrait or landscape mode, or anywhere in between. 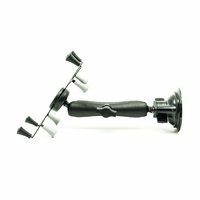 And the powerful locking suction mount can be attached to any smooth, flat non-porous surface. 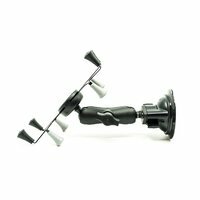 If you need a longer or shorter arm, the standard 95mm arm can be swapped for a 153mm arm or a 60mm arm. Just select this option when ordering. Manufactured in the USA, it's the most robust and adjustable 7" tablet mount available anywhere.